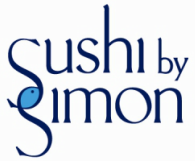 Sushi By Simon has been featured by many news outlets and trend setters, including CNN, the New York Daily News, The Food Calendar and more. "I think you are a wonderful teacher and know you can reach/teach any audience...you had everyone so engaged!" "You are terrific!!! Thank you for giving such excellent classes!" "Thanks again for coming today and teaching my staff. You are an excellent teacher and everyone enjoyed it." "Guess what I got at my door ... care of Sushi by Simon!!! The most interesting package by far I've ever gotten."